Consumer loyalty is proving harder than ever to earn and keep. According to Accenture, more than half of consumers say the number of brands they consider has increased significantly over the past decade, and nearly half believe they’re currently more likely to switch brands compared to ten years ago. It’s therefore now imperative that brands invent more novel ways of engaging consumers to thrive in today’s competitive market. When a brand engages its customers, it draws them in, persuades them of its ideologies, leading them down a pathway to everything that a business could ever want: customer loyalty, customer purchases, customer-based profits and customer ambassadorship. There is perhaps no better example of engagement, advocacy and loyalty than sports fans. While a consumer might not wear a t-shirt with the logo of his preferred toothpaste brand, he will advertise the logo of his favorite sports team. He won’t likely seek out content from that toothpaste brand either, but he’ll devour content from his favorite sports team. And he might one day switch toothpaste brands, but there’s no way he’s ever switching sports teams. By connecting with these sports fans through strategic partnerships and advanced technology, brands can leverage new opportunities for engagement, advocacy and loyalty. Puma is an apparel and footwear brand that has proven successful at engaging sports fans. Over the past decade, the brand has kept consumers hooked via campaigns using technology and social media, and by offering something unique over rival sports brands. Ahead of the 2014 World Cup, Puma launched a global football hub where fans could interact with their favorite players, including Chelsea and Manchester City players Cesc Fabregas and Yaya Toure, in a move to compete against apparel and footwear brands Nike and Adidas. The portal invited fans to complete in a series of monthly challenges to win prizes, while also giving them a chance to preview the brand’s upcoming boot and kit launches. More recently, the brand used a similar social strategy when it signed a whopping £150m five-year deal to provide the kit for Arsenal football club. Called “Powered By Fans,” the campaign celebrated this partnership by unveiling the new 2015/2016 away kit via a live event in Singapore, where an audience sang iconic Arsenal songs. The louder they sang, the faster a projection transformed a five meter-high 3D torso into the new away shirt. As the projection finished, some of Arsenal’s first team players were introduced to fans in the full kit. By leveraging next-generation technology, brands like Puma can take this sports fan engagement to new heights. Right now, billions of apparel products are #BornDigital™, meaning that they’re manufactured with unique digital identities in the cloud. This allows brands to make their physical products part of the digital ecosystem—driving greater engagement, advocacy and loyalty through digital experiences, content and rewards. For example, if an apparel and footwear brand “switched on” their merchandise, it could offer football fans a discount at the stadium’s store or the chance to meet the “man of the match” in an exclusive VIP experience. 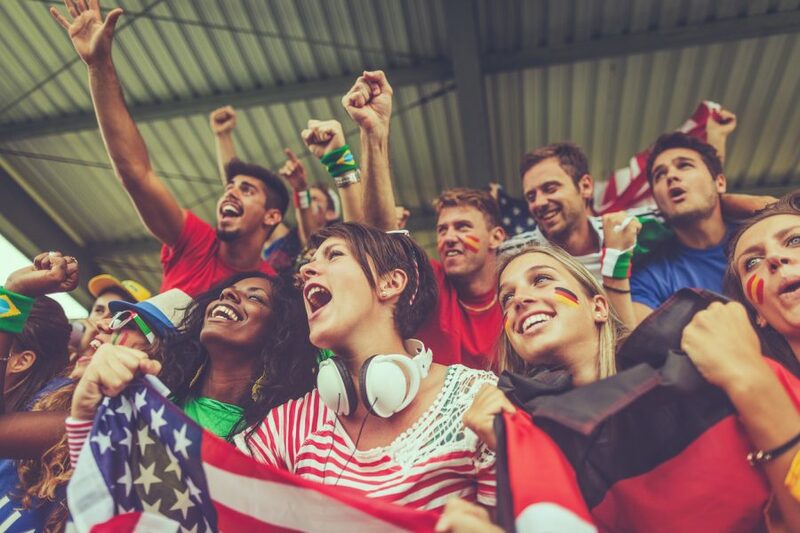 Smart products allow brands to connect with sports fans outside of the stadium as well. Fans who aren’t able to make it to the match can wear their connected jersey on game day and interact with it to access “behind-the-scenes” bonus content such as videos from the locker room. Through the use of Internet of Things technology and smart products, apparel and footwear brands can deliver unique in-store and post-purchase content, offers and experiences throughout the lifetime of a product—and gain the lifetime loyalty of a die-hard sports fan.